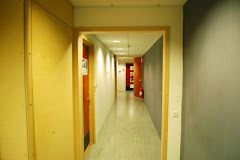 The corridor of uncertainty: How relevant is open education for refugees? How relevant is open education for refugees? 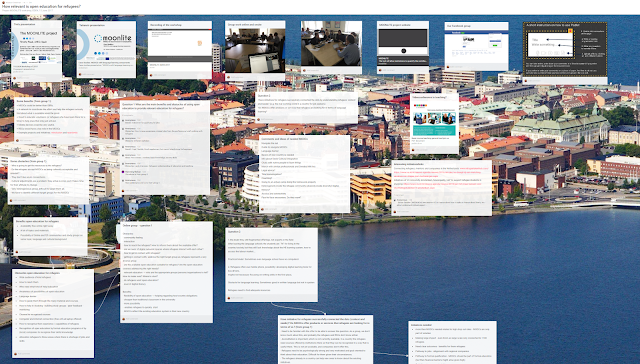 As part of my involvement in the ongoing European project MOONLITE, examining the use of MOOCs and open education for social inclusion and employability, we arranged a hybrid webinar workshop at the recent EDEN 2017 conference in Jönköping, Sweden. The workshop asked the question "How relevant is open education for refugees?" and comprised a combination of input from project members with group discussions both on-site and online. 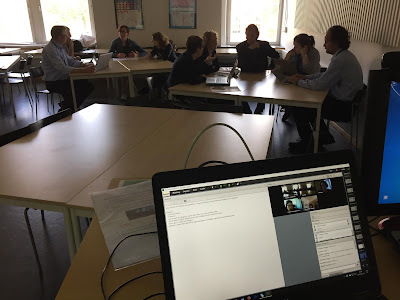 All the results from the session, group work, slideshows, link to the recording and links to other projects are gathered on a common Padlet page. Do refugees accept MOOCs as being culturally acceptable and relevant? Are open education solutions addressing the right problems? We also asked whether existing initiatives had succeeded in meeting the needs of refugees. The general feeling was that although there were many success stories the use of open education is still largely fragmented and with very limited impact. The vast majority of refugees are still not aware of open courses or are unable to take advantage of them for the reasons noted above. MOOCs are only one of many options to address the challenge of integrating refugees into their new countries and top priority for most of them is recognition of their skills and getting hold of credentials that are valid in their country of residence. If open online courses can lead to such educational hard currency then they will be popular. They must be seen as a pathway to higher education and to employment, very much the focus of our project! MOOCs and other types open education should focus on the most essential skills: language, socio-cultural integration and online study skills. However, in almost all areas a combination of digital and face-to-face solutions is essential. Refugees need to make personal contacts in their new homeland and online education can therefore only be part of the solution. The group discussions offered many examples of services and solutions that offer a smoother pathway to integration. Matching refugees with people working in the same profession is one method already in use in many countries. A Swedish initiative called Welcome is an app that enables refugees to make contact with Swedish volunteers to chat online or to meet up for a coffee and discussion. Another Swedish initiative, Minclusion, is developing mobile apps for learning Swedish and facilitating intercultural communication. The key is putting the refugees in contact with local people who can help them with everyday questions, language development, legal problems, coaching/mentoring, job shadowing and just everyday human contact. Online learning can be very effective for people whose lives are otherwise full with career. family and friends. For refugees human contact, building up a new identity and regaining broken confidence are the main priorities. They can benefit from online education but always combined with physical meetings and support. Watch the edited recording of the workshop.